These clever Ticket Awards are padded for easy use. Each award is perforated into two parts. One part is filled out by the teacher and the student takes it home to show parents. The second part is signed by the student and placed in a container for a chance of a prize in a classroom or school-wide drawing! 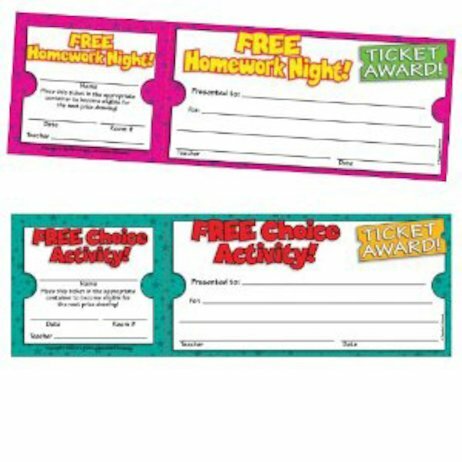 Includes: Free Homework Night and Free Choice Activity Ticket Awards.